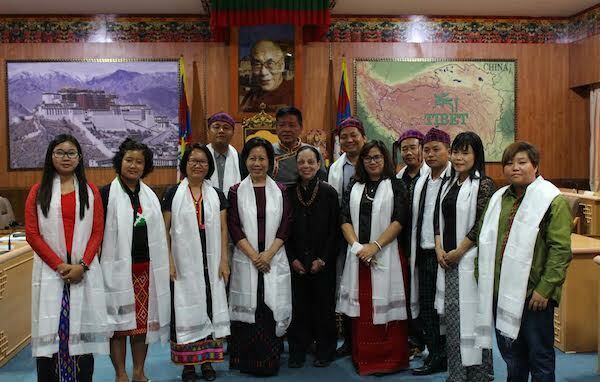 (TibetanReview.net, May12, 2016) – A delegation of 12 people from the Kachin state of Myanmar has on May 9 visited the Central Tibetan Administration at Dharamshala, India, and met with the Speaker of the Tibetan Parliament-in-Exile Mr Penpa Tsering. The visitors consisted of legal advisors, journalists, human rights activists and co-founder of International Campaign for Tibet, said the exile administration on its Tibet.net website May 10. The Speaker was reported to have spoken to the visitors about the working of the parliament in exile and the exile Tibetan administration’s middle way policy of seeking autonomy for Tibet under China, not independence from it.